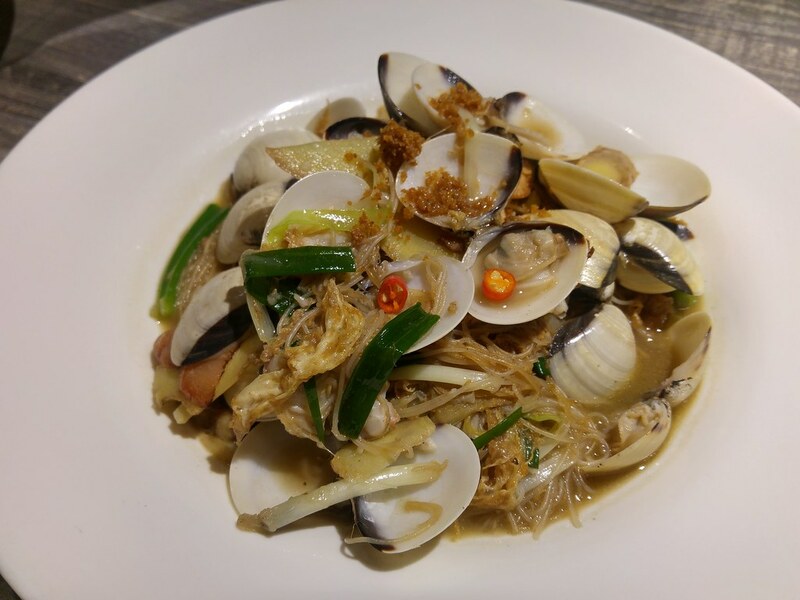 Started out as a private dining enterprise for seven years, chef-owner Elton Seah has finally decided to open his first physical restaurant - Holycrab at Tan Quee Lan Street. Not just food to fill up tummy and satisfy your appetite, Chef Elton wants these crabs to be bonding tools as well. 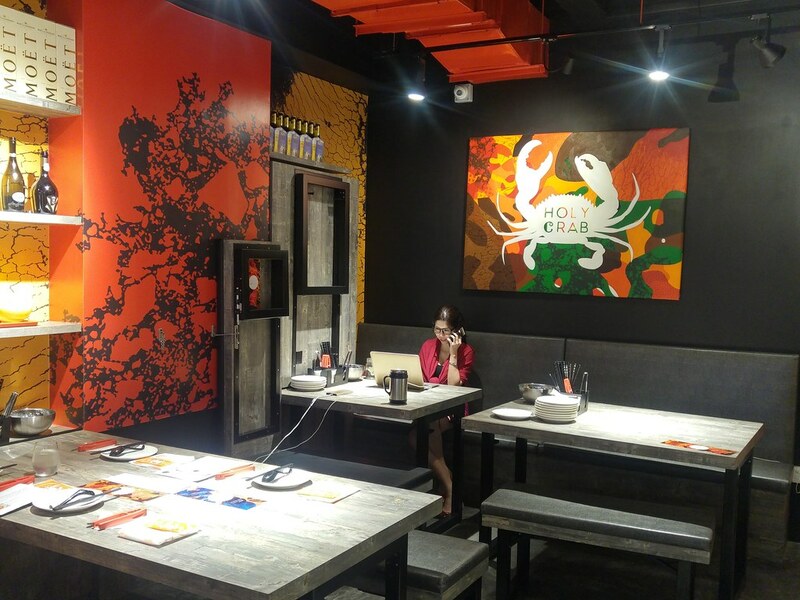 When conventional meals tend to be short and unengaging, giving diners the opportunity to play with mobile phones, he reckons that crabs can actually keep our hands away from all these distractions as we dig in. Picking every strand of the meat off the shell, each meal seemingly last a lot longer as well. 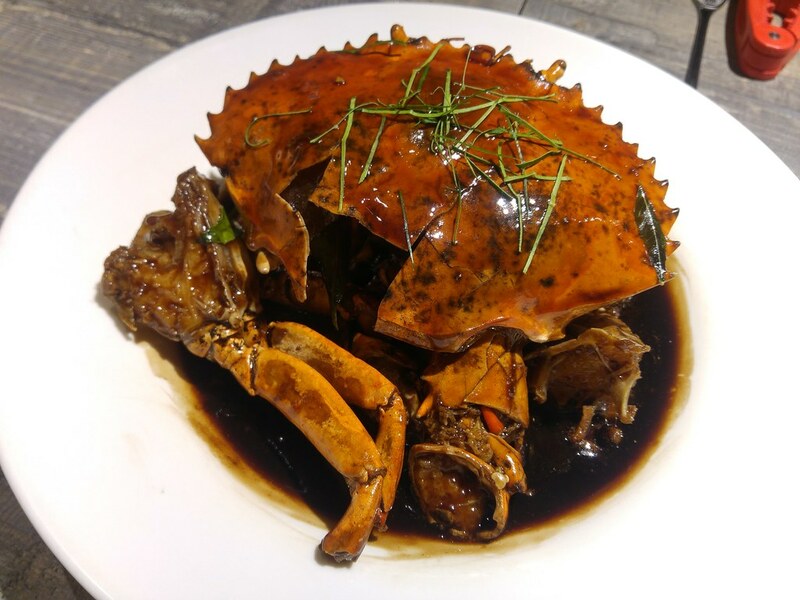 Crabs here are identified by each of its unique homemade sauce - salted butter, green chilli, pink peppercorns and balsamic vinegar. You can choose the level of spiciness. 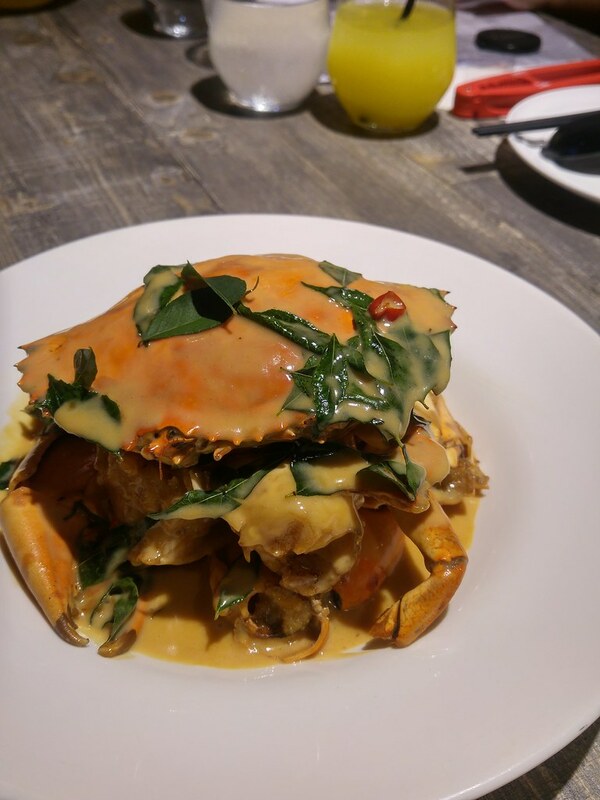 The Devil's Crab - deep-fried crab bathes in milky, buttery sauce that is sweet with a tinge of savouriness. 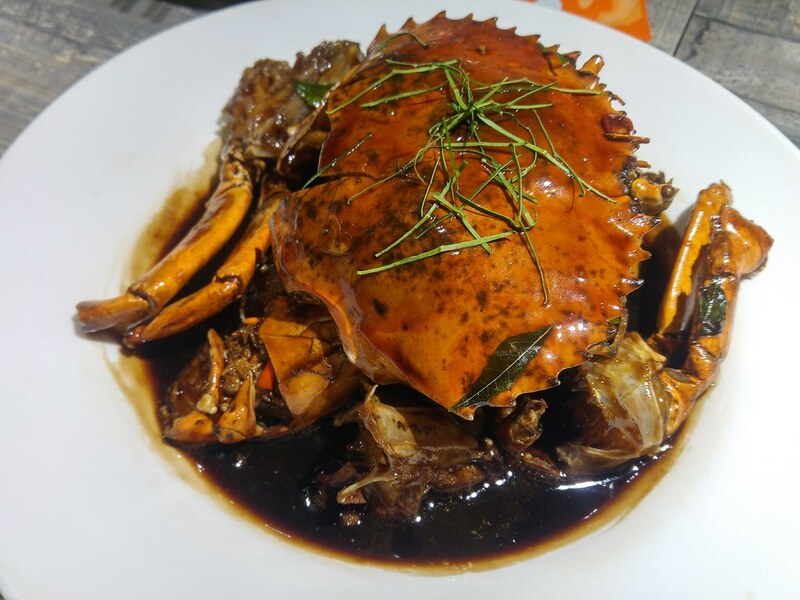 I like the consistency of the sauce which is not too thick and certainly works better with deep-fried crab instead of steamed crab. The slightly fried edges of the meat adds on to the taste. A pinch of salt probably could be sprinkled in to tease out the butter flavour. 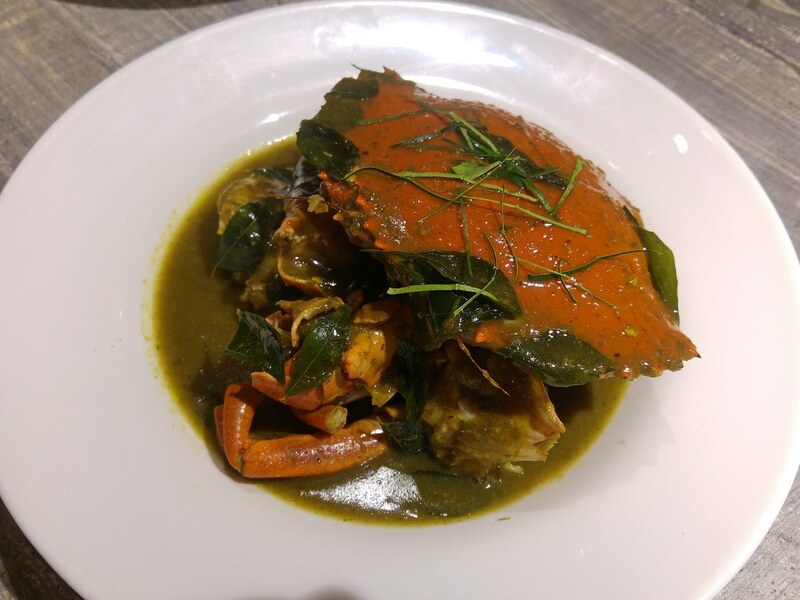 The Green Chilli Crab exudes the familiar flavours of Thai food which comes with homemade rempah, green chilli, kaffir lime leaves, lemongrass, ginger, candlenut, onion. It's almost like having Thai green curry with crab, minus the heaviness of the coconut milk. Many love it which explains why the fried Mantou are gone in seconds. The Peppa differentiates itself with its pretty pink peppercorns. I have yet tried enough white pepper crabs to taste the difference though. You may like the crustacean flavour in the white pepper sauce, with crab stock being part of its ingredients. No starch, the consistency of the sauce is achieved through sauce reduction. My favourite would be the tangy Balsamic Vinegar Crab. As balsamic vinegar is used, it is not too acidic. It could be slightly less sweet I thought but still it is a fine execution of idea. 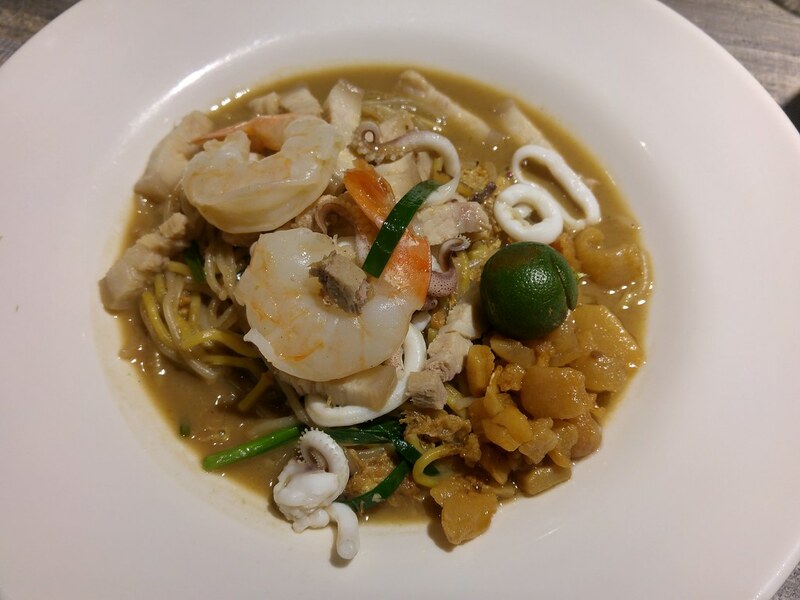 For some hearty noodle dishes to go with your crabs, you either get Succumb To Mee ($15) or Hooked on Mee ($15). I would say both are pretty on par with wok hei nuances but my table seems to be more hooked on the chunky homemade crispy pork lard piled on the wok-fried noodles, alongside with succulent prawns and pork bellies. Deep-fried egg floss is also much-lauded here, just now that of fish soup. For regulars who enjoy Chef Elton's sunny personality, presence and of course his creative cooking, it might be a bit tough to get hold of him in the past as he used to take only 2 private dining reservations a week with a minimum spending. So with Holycrab, he is now more accessible. However, I feel it's a pity that his regulars could no longer make that 'personal appointment' with him as reservations now will be handled by his company which loses that personal touch. 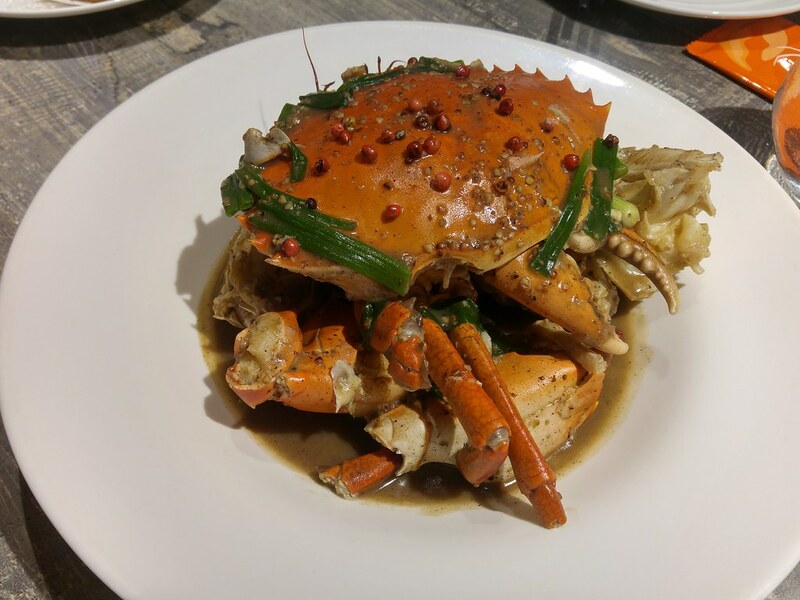 At $9/100g for each crab dish, it is not that affordable but at least you get to have a good time at this intimate restaurant.